At Vifor Pharma, Entrepreneurship is one of our core values. This also means taking the unconventional route when hiring young talent. That’s what we did, when hiring Maria, our Student Of The Year winner 2018 who is still working in our Global Regulatory Affairs team today. Watch Marias story and apply now for the Student of the Year Challenge 2019! 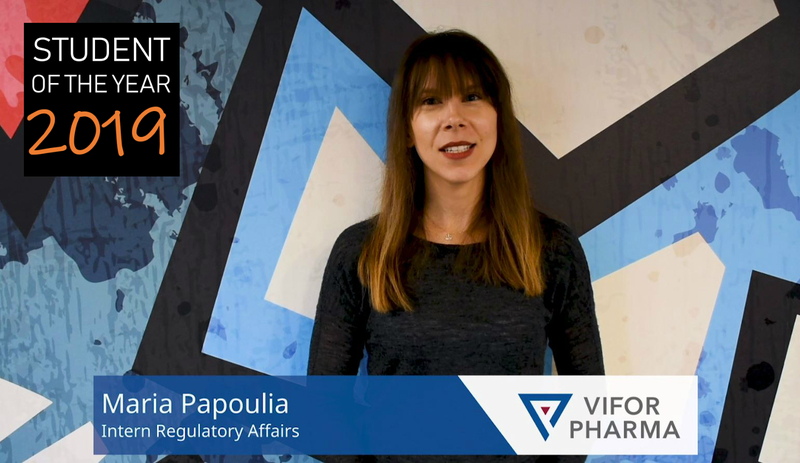 The Vifor Pharma Student of the Year challenge is an excellent opportunity for us to meet talented young people with a passion for our business. Vifor Pharma’s 6th Student of the Year contest has proven to be an excellent platform for both the company and the students. In return, we offer them an interesting insight into our business and the opportunity to gain real work experience. We have enjoyed the innovative ideas, valuable input and vibrant discussions from previous candidates and look forward to what this year’s contest brings. The winner of the Vifor Pharma Student of the Year will be awarded a paid three months internship at Vifor Pharma (worth CHF 10,000). To find out more about the challenge 2019, click here and apply now!